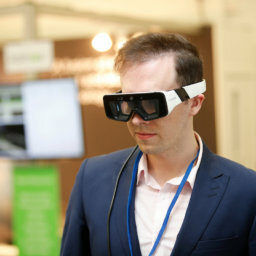 One of the most satisfying aspects of ARVR Innovate this year was how much the international representation at the event continues to grow. This year saw attendees from three continents arrive in Dublin. Not surprisingly the biggest contingent was from the UK. Speaking at the event was Final Kilkelly who heads up Immerse UK. This organisation is central to the huge investment that country is making in immerse technologies. Below is a report from their participation in the conference, from journalist Bernadette Fallon. 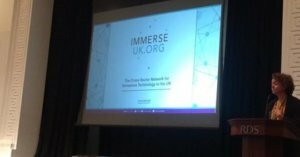 It first appeared on the Immerse UK website.